March 26th, 2019 – Dubai, U.A.E. : LiveAdmins DMCC has renewed its partnership with Gulf Information Security Expo & Conference (GISEC) to provide real-time website customer support for its 2019 event. With this agreement in place, LiveAdmins will offer proactive, 24/7 live chat customer support on www.gisec.ae to exhibitors as well as visitors. To better facilitate the visitors, LiveAdmins will provide website-based assistance in both English and Arabic languages throughout the event. Now in its seventh year, GISEC assembles security experts from 86 countries to present their wares and solutions to cyber security professionals, researchers, companies, and consumers. More than 12,000 attendees are expected to attend the co-located technology events, GISEC, IoTx, and Future Blockchain Summit, from April 1st to the 3rd. LiveAdmins will be present at booth # D7 located in Hall 8 at the Dubai World Trade Centre (DWTC) on all three days. Now in its seventh year, the Gulf Information Security Expo & Conference (GISEC) is the largest cyber security exhibition and conference in the Middle East, Africa and Asia. 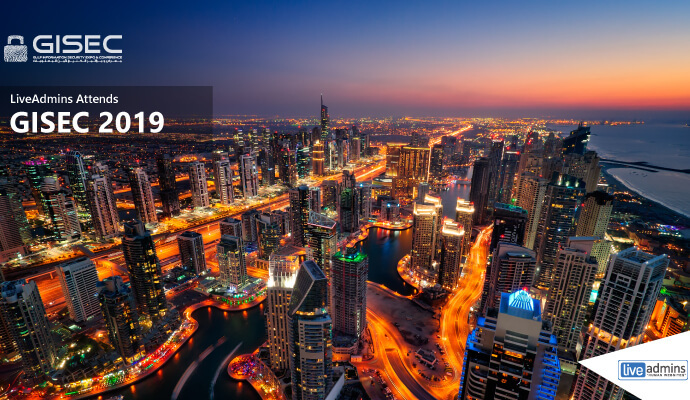 The three-day conference provides a platform for cyber security solution providers and potential consumers to connect at the Dubai World Trade Centre (DWTC), U.A.E.